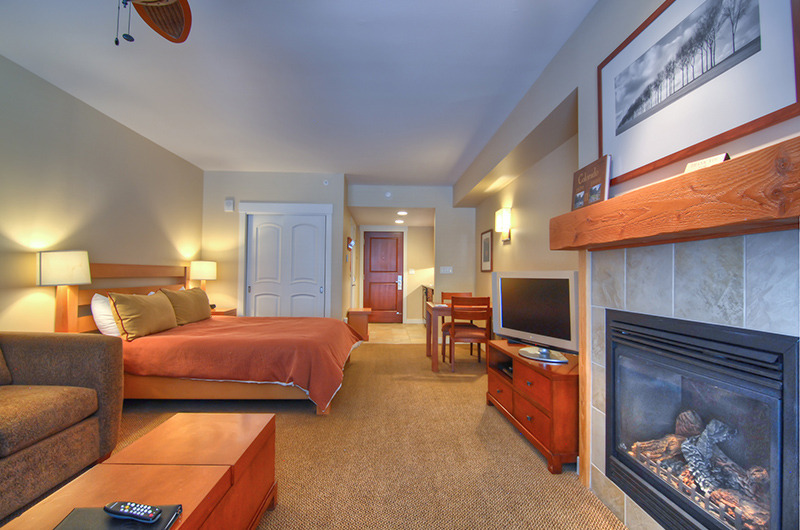 Save 25% on midweek nights (Sun-Thur) when you stay 3+ nights! Blackout dates are 12/19-1/3, 2/13-2/14, and 3/8-3/11. 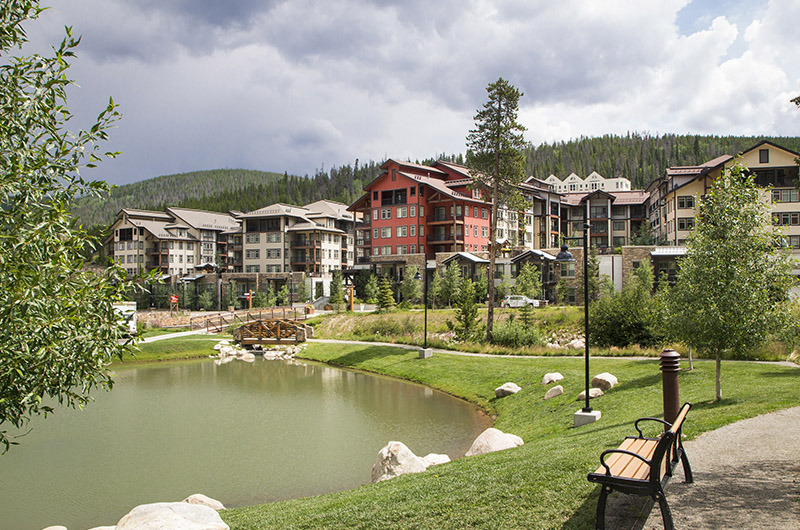 Founders Pointe/Frasers Crossing is located in the new pedestrian village, just a short walk (approximately 225 yards) to the lifts at Winter Park Resort. 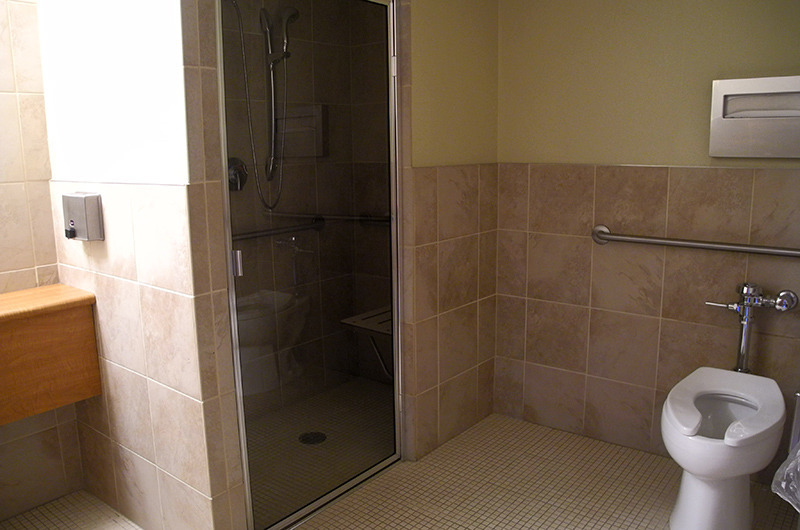 This property offers studio units as well as one to three bedroom condominiums. 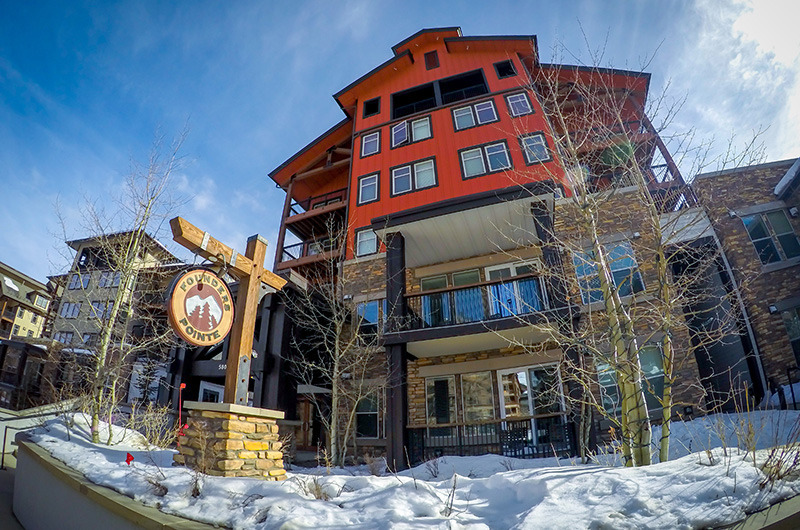 The property has classic mountain architecture balanced with modern amenities and shops. 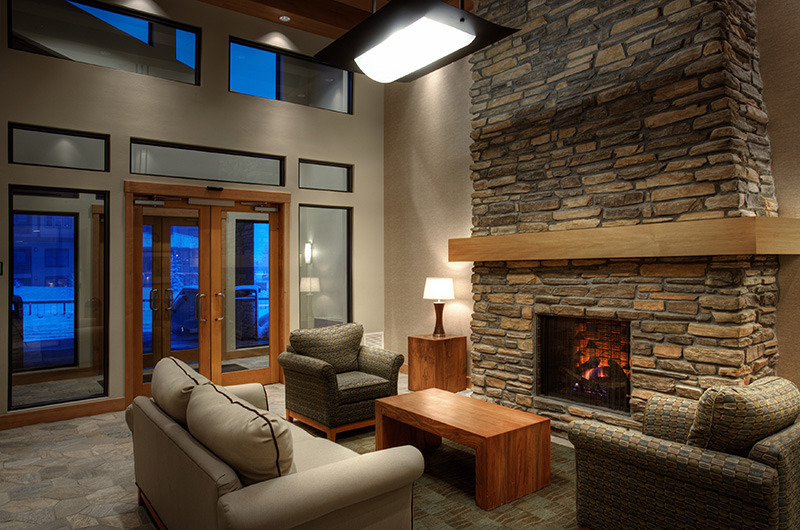 Just steps away are access to an outdoor spa, fireplace and barbecue - and of course it's just a short walk to the village and lifts. 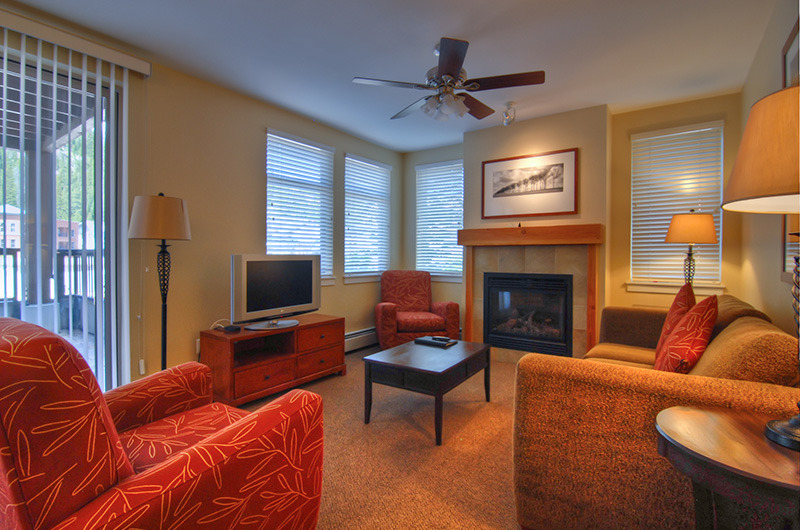 The building also has heated underground parking, and high-speed Internet. 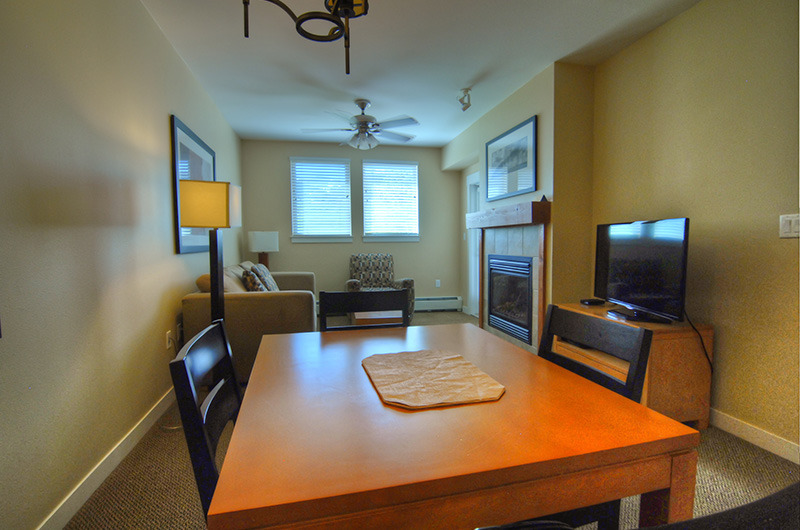 Furnished and appointed modern-rustic home features amenities such as a flatscreen television, granite countertops in the kitchen and bath, GE stainless steel appliances, upgraded linens and accessories, plus a gas fireplace with wood mantel and trim. 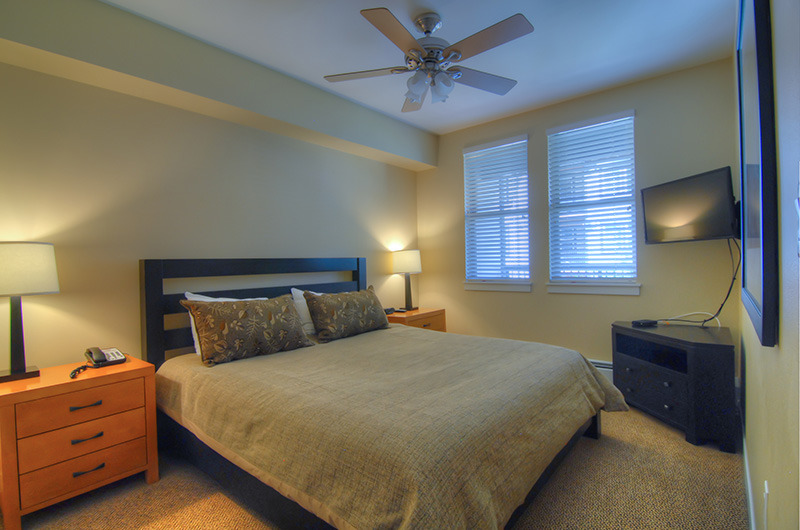 Units sleep two people per bedroom plus two additional people on a sleeper sofa in the living room. 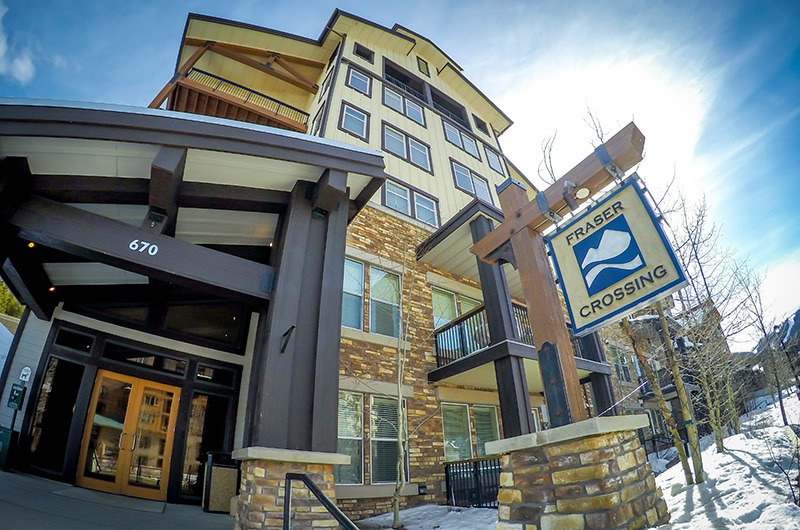 Parking at Founders Pointe/Fraser Crossing is $16 per day, and must be pre-purchased. Details are provided with travel documents.